Hail Caezar! ….. Five years ago in 2010, four lads united with a passion for 1950s rockabilly and 1960s garage rock, and influenced by acts such as early RCA Elvis, Link Wray, The Sonics, The Hives and The Wailers (and we don’t mean Bob here…. ), recorded their debut album in Los Angeles for cult speciality rock ’n’ roll imprint Wild Records. Impressively, they were the first act from the UK ever to do so. 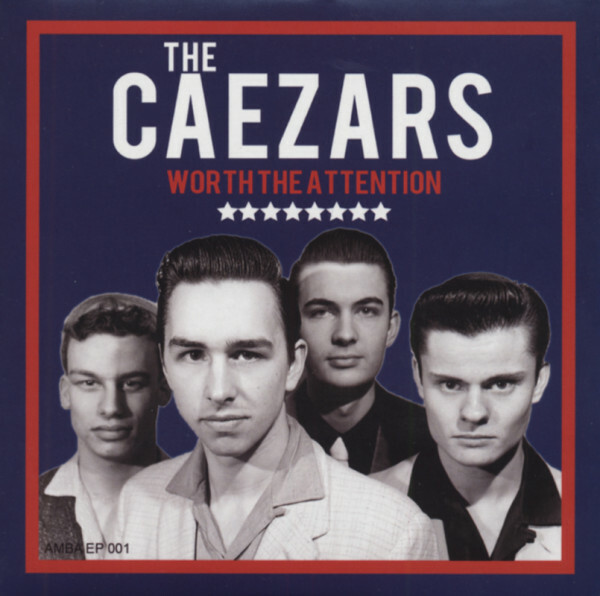 That album, “Shakedown”, and the shows that followed - in California, and at The Hard Rock Hotel in Las Vegas, established The Caezars as a unique British band overflowing with vintage rock ’n’ roll authenticity, complemented by a contemporary edge that made their trademark sound so easily identifiable. The Caezars had arrived. If that was ever in doubt, a support slot on The Vaccines first major UK tour, a raucous 1am main stage performance at the world’s biggest rockabilly festival “Viva Las Vegas”, and opening the show for Brian Setzer (The Stray Cats) at Brixton Academy a few months later, truly cemented that reputation, one that was big enough to propel them to global rockabilly recognition, and prepare the narrative for their aptly titled second album - “Welcome To The Mainstream”. By 2012 The Caezars had indeed hit the mainstream running, performing their self penned “rock ’n’ roll meets hepcat bop” repertoire across the globe, taking in most major festivals and a sold out headline appearance in Moscow along the way. Returning to the UK, The Caezars recorded “Welcome To The Mainstream” at Ambassador Records, with guitar legends Big Boy Bloater and Darrell Higham working their magic over the faders, with backing vocals from none other than Imelda May herself! Since then, The Caezars have toured extensively, with two headline European tours under their belts, and a support slot on Adam Ant’s seminal “Dirk Wears White Sox” tour last year and supported Imelda May on her UK and Ireland tour, including two dates at Dublin’s massive 9,000 capacity 3Arena! Timed by Sir Mikey Crowley, back-boned by Thee Jim Wray, thundered through by our Danny "O", and presented through the miscreant jaw of Mister AJ Denning; find THE CAEZARS before they find you. Comprendere? Customer evaluation for "Worth The Attention (2012)"